I am positively ignoring this cold snap and focusing on the fact that we are out of December and headed towards Spring, I mean – slowly – but we are indeed heading in that general vicinity and I am already planning my wardrobe! Spring to me is about reclaiming colour, I have a TERRIBLY bad habit of living in black during Winter, but black just looks great with a red lip and a statement shoe so how can I not!?! 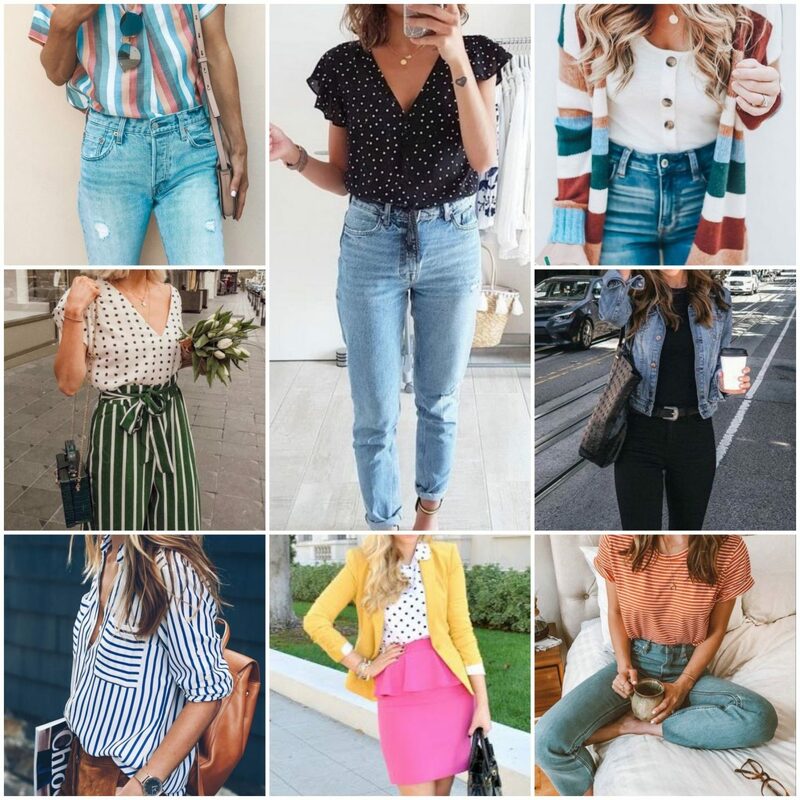 To get my Spring attire sorted, I’m already scouting the shops for cute blouses, maybe a few patterned ones for texture, some jeans (cause lets face it, when are we not wearing jeans?) and pops of colour. I need to start pulling pieces now otherwise I will reach Spring and realise I have nothing weather appropriate! Below I’ve popped a few things which I have stumbled upon that have tickled my fancy, just incase you want a goo yourself! How’s your January going? Quickly I hope! As always with my mood boards, these images were found on Pinterest and the original postings and their ultimate source may be accessed through here. Additionally I receive a small % of commission from some of the links included in this post if clicked by you. It doesn't cost you anything and is a little thank you to me from the affiliate programme for inspiring a possible purchase. Thank you for supporting the brands that support Peppermint Dolly. I love every single one of these outfits, they are lovely! These outfits are so lovely 😊. Love every single of them 🥰. Omg I’m obsessed with this! Such good inspiration! Thanks Kate! Glad to read you’ve found it helpful! These clothes are so beautiful! The best clothes are jeans! And jeans outfits can always be worn!